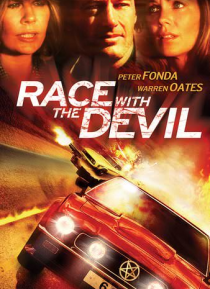 Peter Fonda, Warren Oates and Loretta Swit star in this high-octane action-thriller. When two couples head off on a Colorado vacation, they hope to ski, dirt bike and camp. But en route, they witness a satanic ritual with a human sacrifice. After a local sheriff refuses to help them, the four are then repeatedly attacked by vicious cult members, and their dream vacation becomes a nightmare!